Some of the best activities for the book are those that help students to think about how they can connect their own lives with Dr. Seuss’s words. To do this effectively, give students their own copy of the book’s text, and have them highlight the lines that really speak to them, that they can relate to their own lives or feelings. Encourage them to work as a class to tally up how many students related to each line of the book, and discuss which lines were most inspirational to most of the class and why. Have students draw a picture of a place they’d like to go. (For older students, have them write a paragraph or two about a place they’ve always wished they could visit.) Then have students discuss their drawings or descriptions with the class. Encourage them to be creative as possible, including ideas such as “outer space" or “the inside of a volcano" if they’d like. “By the end of this school year, I hope to …"
“Two years from now, I hope to…"
“By the time I start high school, I hope to…"
“After I graduate from high school, I hope to…"
“When I am 35, I hope to…"
“When I am 90, I hope to…"
“My goal in life is to…"
Encourage students to choose at least three of the sentence starters from the list and use them to “plan out their lives." Students might write about small goals that they have, such as becoming more organized or getting on a sports team, or they may write about some of their larger goals, such as those relating to a future career. 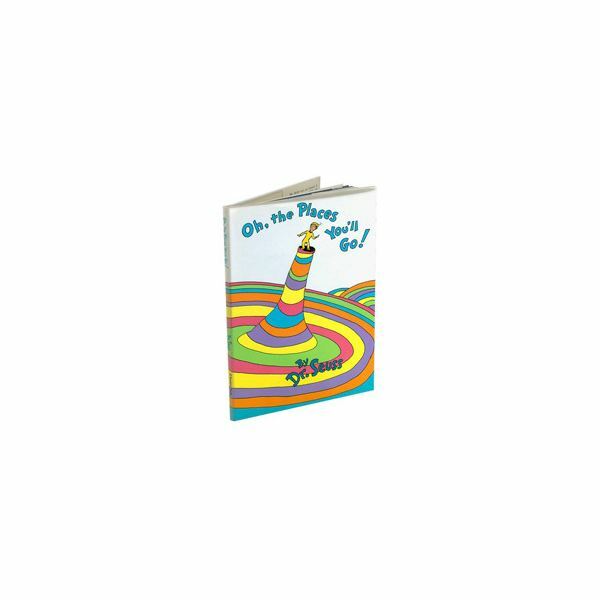 This song is a great activity to do with kindergarteners or other younger students after reading “Oh, the Places You’ll Go." Have children march around the classroom while singing the first stanza of this song, and stand in place while singing the second stanza. The places I can go. These activities are the perfect way to extend a Dr. Seuss reading for kids of all ages – preschool through high school seniors. Try one with your students to see how much it helps them to relate to the book that they’ve read.